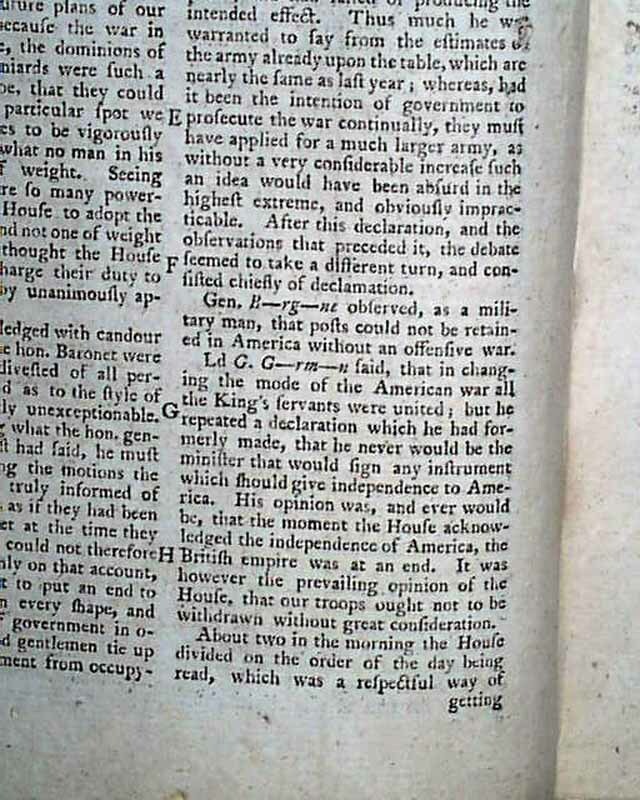 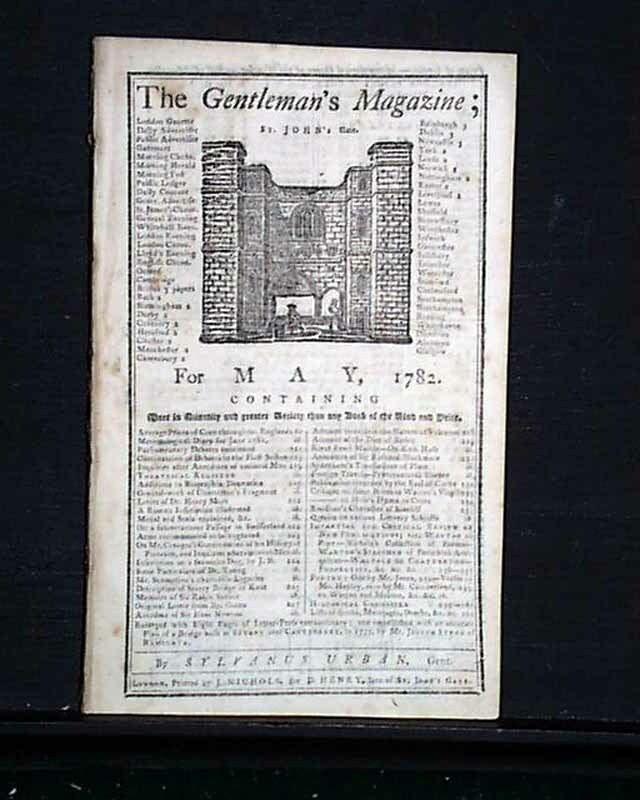 Item # 649125 THE GENTLEMAN'S MAGAZINE, London, May, 1782 The issue begins with 7 pages of "Proceedings In Parliament" which includes mention of the war with America: "...in changing the mode of the American war all the King's servants were united; but he repeated a declaration which he had formerly made, that he never would be the minister that would sign any instrument which should give independence to America..." (see). 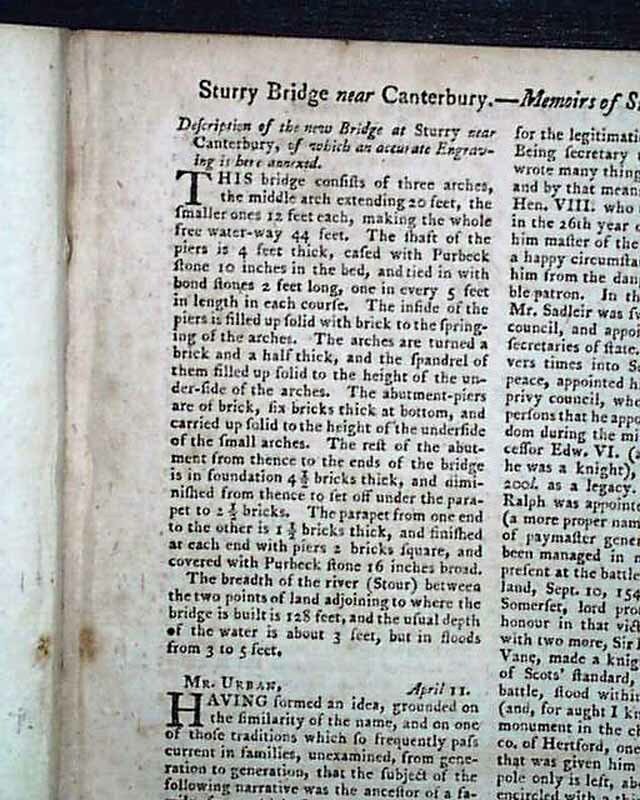 Among other items is a "Description of the New Bridge at Surry Near Canterbury..." which includes a foldout plate of it (see); "Attempt to Explain the Cause of Volcanoes" and much more. 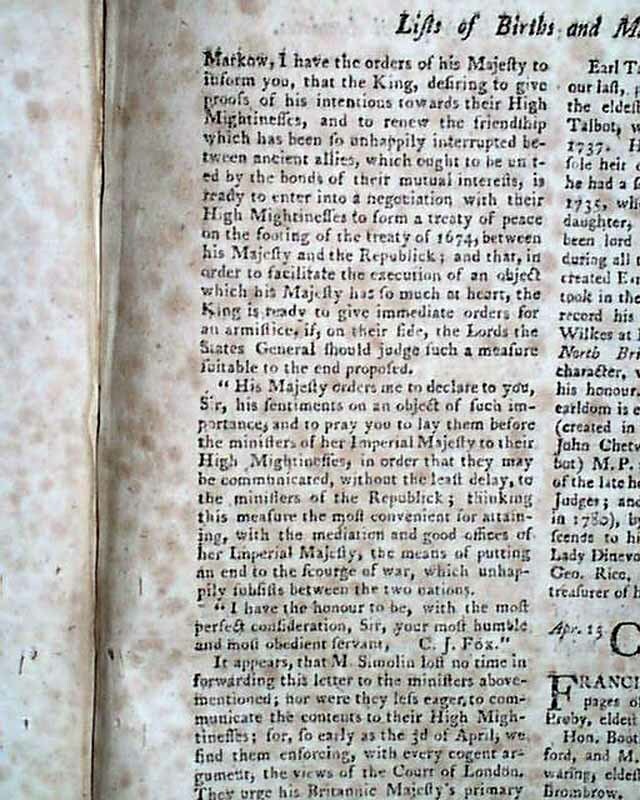 Near the back is the "Historical Chronicle" with the latest news reports of the day, which includes a letter from the American Congress acknowledging John Adams as the minister to the Dutch in hopes of working towards a treaty (see). 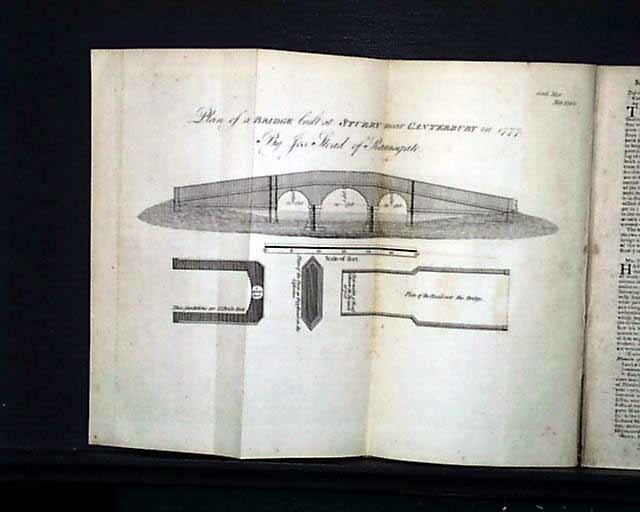 Includes the one foldout plate called for, mentioned above. 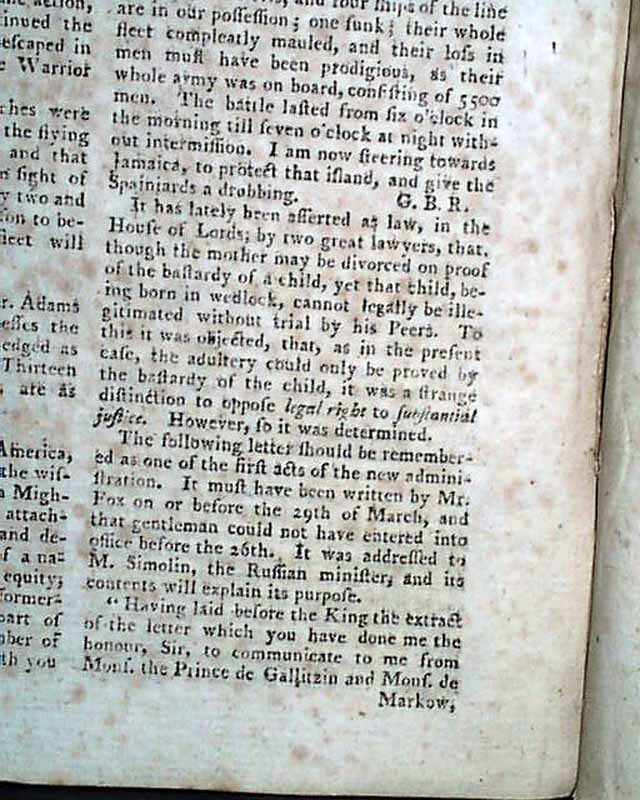 Complete in 56 pages, 5 1/4 by 8 1/4 inches, full title/contents page with an engraving of St. John's Gate, some very lite scattered foxing, others in very nice condition.